Here is an interesting 5 man dog from the Dallas Cowboys' Defensive Coordinator Rod Marinelli. The play starts in a standard 4-3 2 high safety shell look. 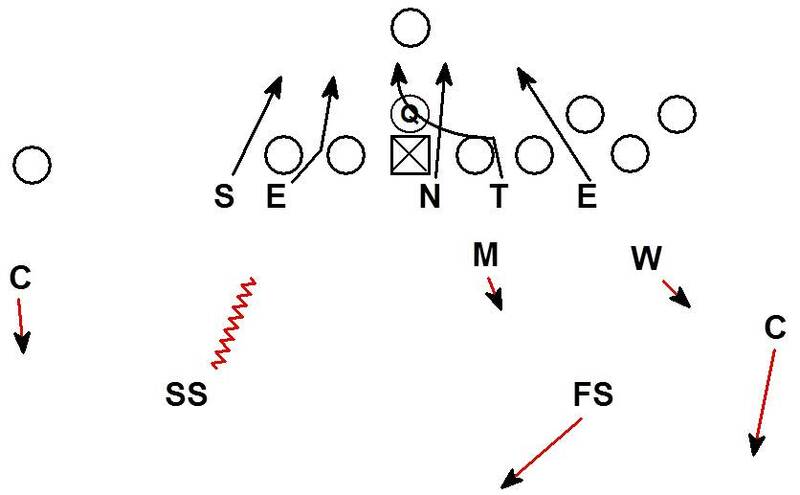 During the cadence the DL stems the Nose and DE into this look. The Nose moved to a head up zero technique and the DE went from a wide alignment to head up on the OT. The defense then stemmed a 2nd time into this look. 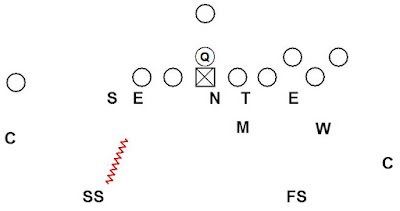 The Nose moved to a strong side 1 technique and the Sam backer walked up on to the LOS. 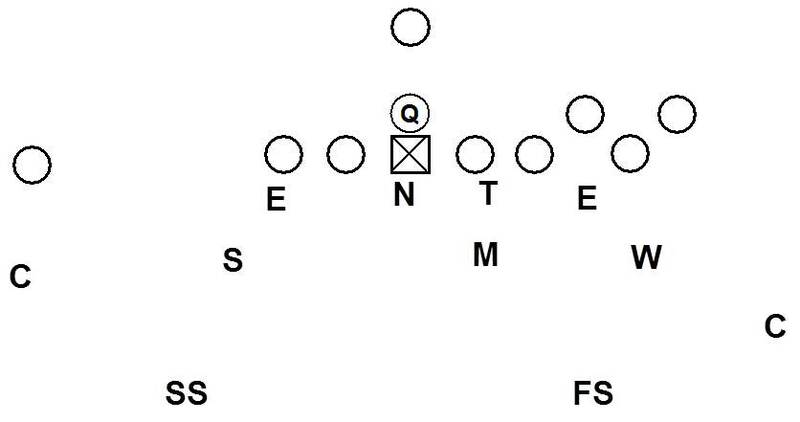 The stemming by the defense allows the Cowboys to create a odd front structure and bring a 50 front type of pressure. The penetration of the Nose in the A gap forces the Center's shoulders to turn. 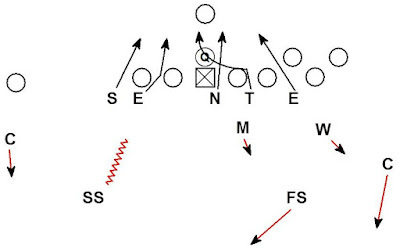 The delay twist by the Tackle is able to loop tight and pressure the midline. Using pre-snap stemming and DL alignments are creative ways to incorporate Odd front concepts into a base Even front defense.